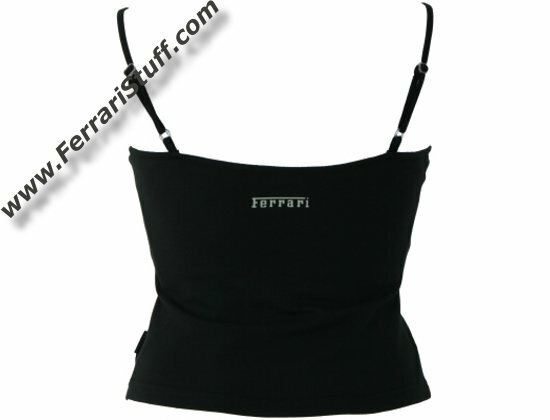 Ferrari Ladies Centre Front Seamed Vest - Black. 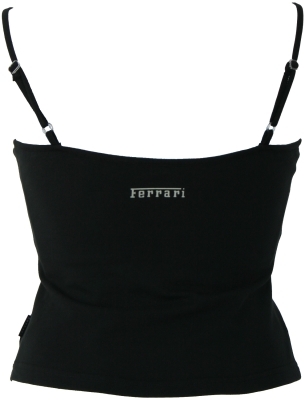 Center front seamed vest in Cotton / Elastane, with shoestring adjustable shoulder straps and inner support. 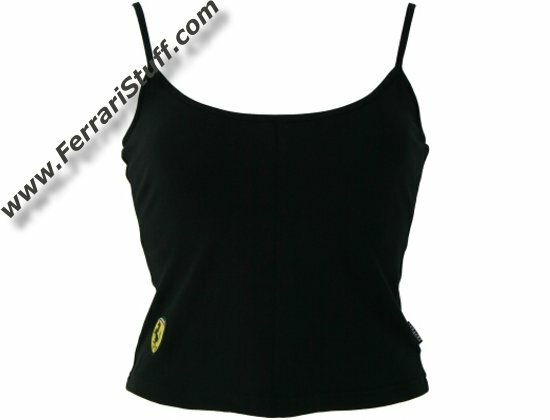 Ferrari racing shield badge to side hem, Ferrari print to back and Ferrari branded side seam label. Available in size 2 (Equivalent of size L).